Nokia has definitely been putting a lot of effort in its plans to get back to being a major player on the mobile phone market and the company has been releasing more and more new mobile devices lately. The newest one of them all will be the upcoming Nokia Lumia 1520V smartphone, which will be a simplified version of the Lumia 1520 flagship. The Lumia 1520V will be available in a plastic chassis where users will be able to choose among red, white, yellow and black colors. The new smartphone measures 85.4 x 162.8 x 8.7 mm and weighs 209 grams. These dimensions include a large 4.3-inch sensor display at 720p resolution (1280 x 720 pixels), a powerful quad-core Snapdragon 800 processor at 2.2 GHz as well as Adreno 330 GPU. The device also has 2 GB of RAM, 32 GB of internal storage, a microSD card slot (up to 64 GB), a nano-SIM slot, a rear 14 MP PureView camera with Carl Zeiss lens and a 3000 mAh. 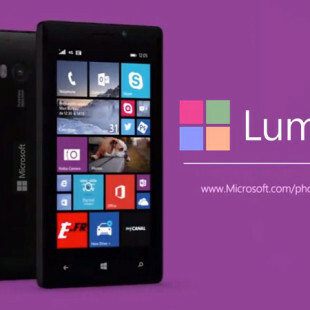 The Lumia 1520V runs Windows Phone 8. 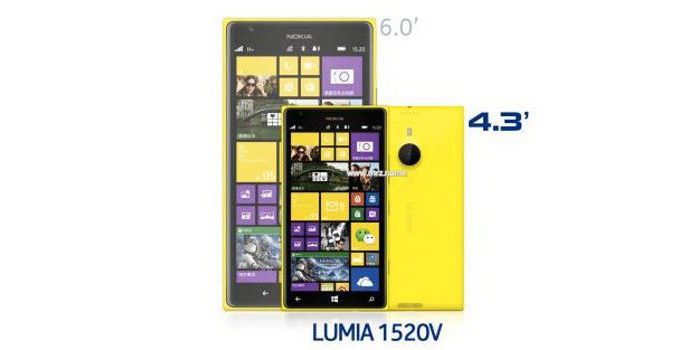 The pricing and the official release date of the Lumia 1520V are still unknown.